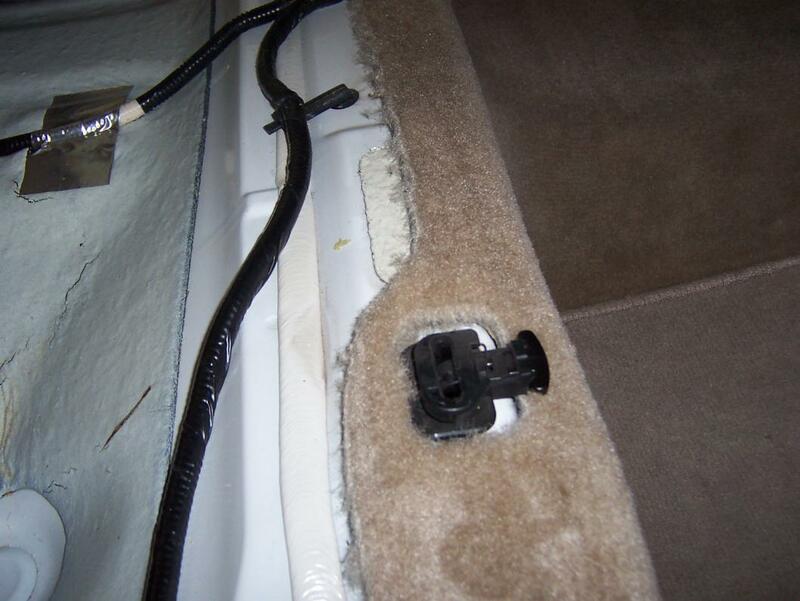 I have searched the posts & have not found enough information.Need to remove the rear seat in a 2005 Accord LX. (lost ring wedding ring down the side). I also have a 1990 Accord & it is not the same after 20 years. Any info on the removal of the "05" rear seat would be appreciated. If no one has the answer by tonoght's end, then I would suggest you stop by your car dealers body shop..and let them show you how..shouldn't take to much time to find out..
Maybe this picture will help? 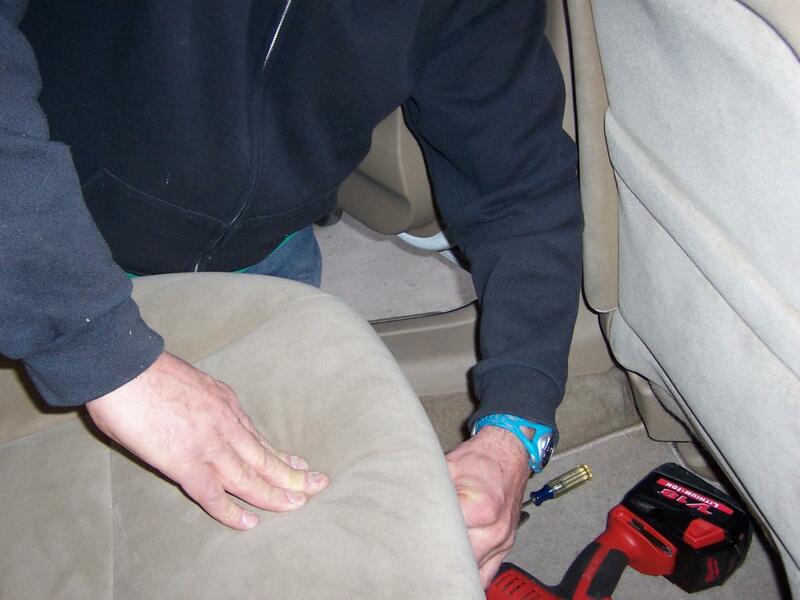 The trick is compressing the seat so you can find the bolt #30 & get a wrench on it. Remove that & I THINK(?) 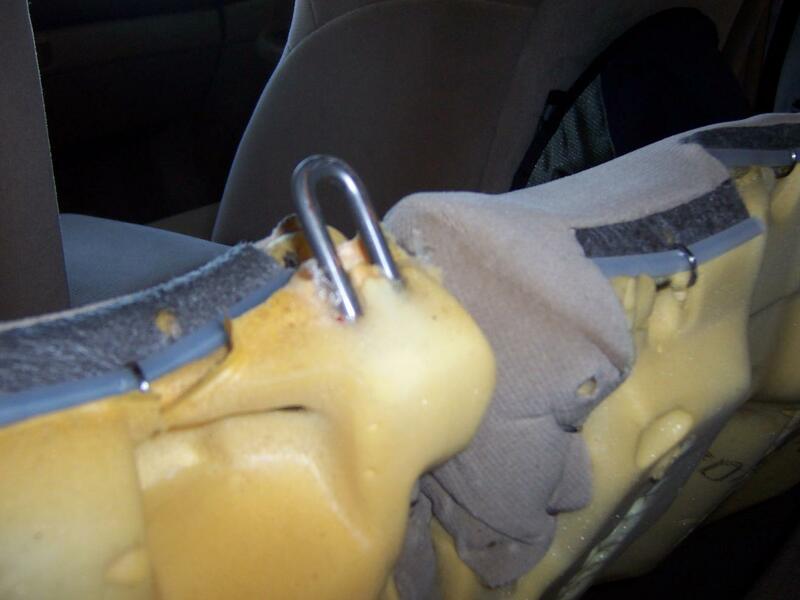 the seat moves forward to unhook the front edge. 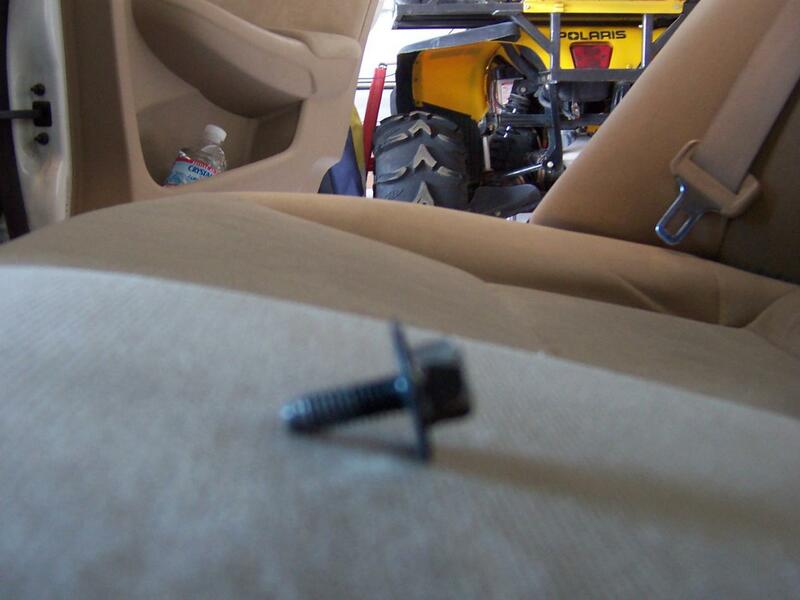 This is the bolt which will need to be removed. Using a 10mm socket with a 6" to 8" extension will work. This keeps the seat inplace. The bolt goes...you guessed it, thru the hole. (On the drivers side of the car) push the seat down & seat back up. Located the 10mm bolt head. 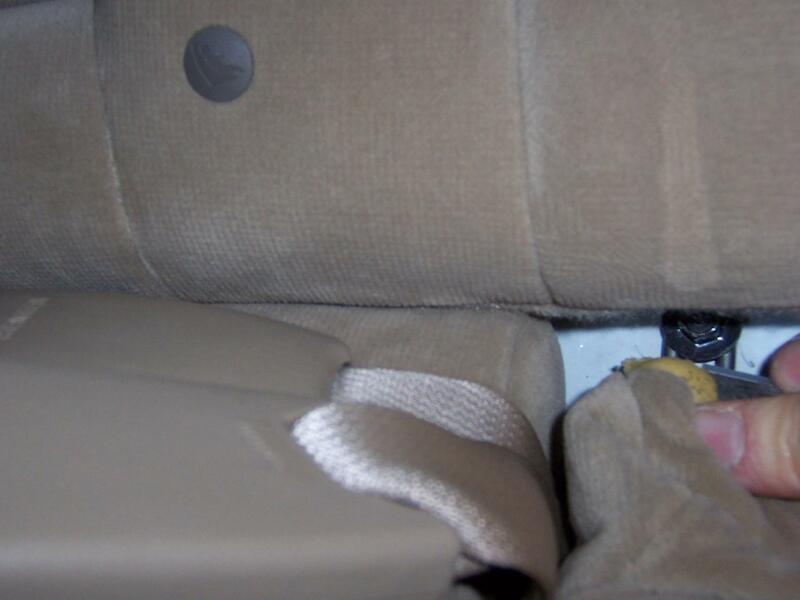 There are two tabs located on the rear seat. They are on the front of the seat. one on each side of the seat & kinda of hidden. 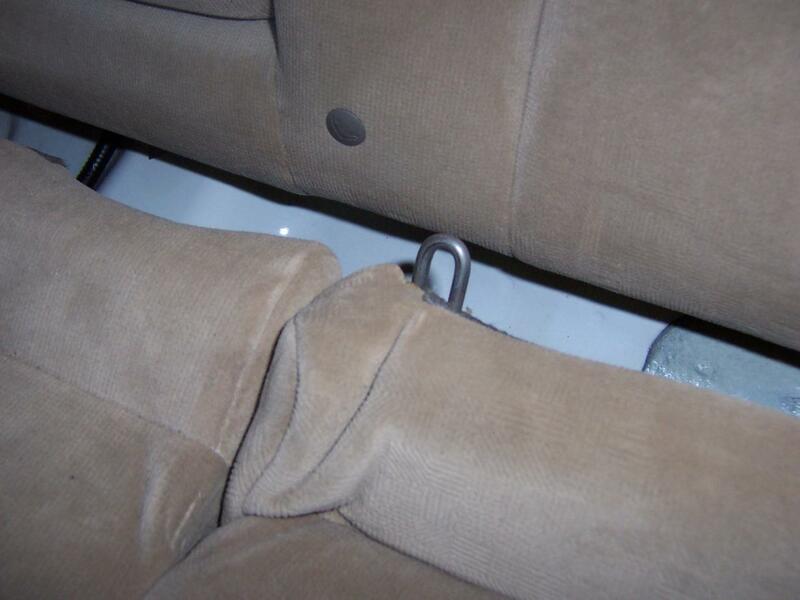 This might require you to lift up on the front part of the seat to locate the tabs. 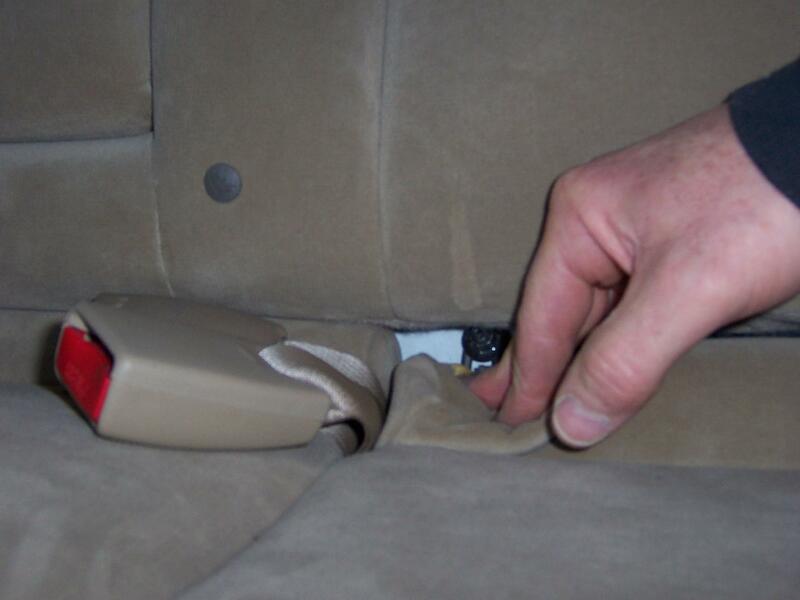 Once you located the tabs you can push down on the seat while pulling the tabs forward. The seat should release then. This is just another look at the bracket which the 10mm bolts goes thru to hold the seat in place. To re-install push the seat back in place. I did not set the seat so the front tabs were re-set. Instead I placed the seat in place & fastened the 10mm bolt down first thinking it would be easier so I could move the seat if needed. My way was a pain but it did go back together after lining the bracket up using a long screwdriver. Anyway there you go. I do have to thank the guy's @ Findley Honda in NorthWest Las Vegas for the information. They were willing to remove the seat on site but I couldn't let them. If they did then what kind of SHADE TREE MECHANIC would I be. Last edited by overdbars; 01-05-2010 at 07:10 PM. There are no smiley Faces big enough for the reward which I will be getting tonight. Good pictures; thanks for letting us know how it goes. I think I'll move this to the DIY section since your photos will probably help other people who have to do this.